On September 15, as in the previous year, the joint activity between the SAS Program (http://www.semesteratsea.org/), the BC Agency company and the E.U. Mediterrani was made. The SAS Program offers the possibility to university students from the USA, to take a knowledge trip by boat, with a duration of 4 to 5 months, receiving training on board and carrying out activities in each of the ports where they dock. 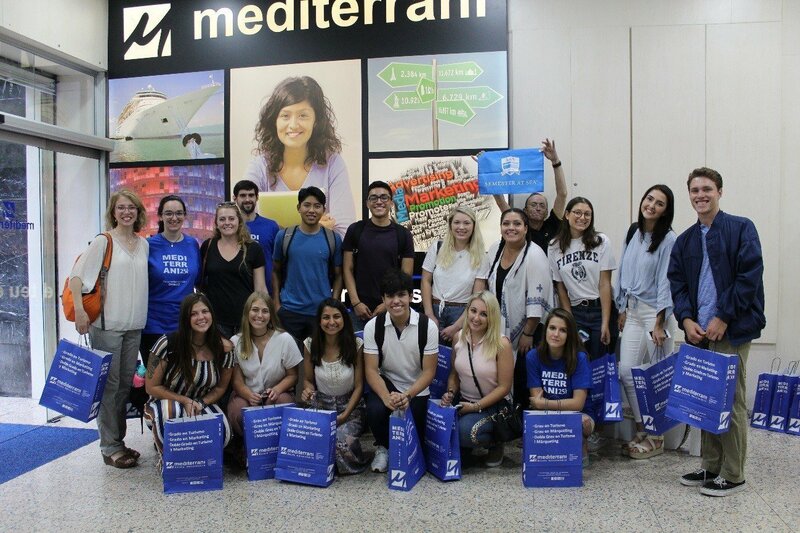 The objective of the activity developed in EUM is to serve SAS students when they arrive in Barcelona, ​​this year has been completed with a Coworking activity among SAS students and EUM students that has had as theme “The Third Places “With the reference of Ray Oldenburg, a sociologist at the University of Florida. The students were discussing the subject in the facilities of the EUM. Thanks to this SAS students had the opportunity to share opinions and examples, and EUM students were able to practice English and the relationship with university students from all over the USA. We take this opportunity to thank the collaboration of the Ph.D. Kristen E. Cvancara of the Minnesota State University, Ms. Ainoa Sánchez of the BC Agency company (former student of EUM) and above all of the students EUM Judith, Mònica and Agustí. Finally, we appreciate the management of the Deputy to the Academic Direction of the EUM Rafa Arza.